Today we are talking to John Kapos, who is also known as Chocolate Johnny. John says that his business, Perfection Chocolates & Sweets, has become a global brand because of Live Video. 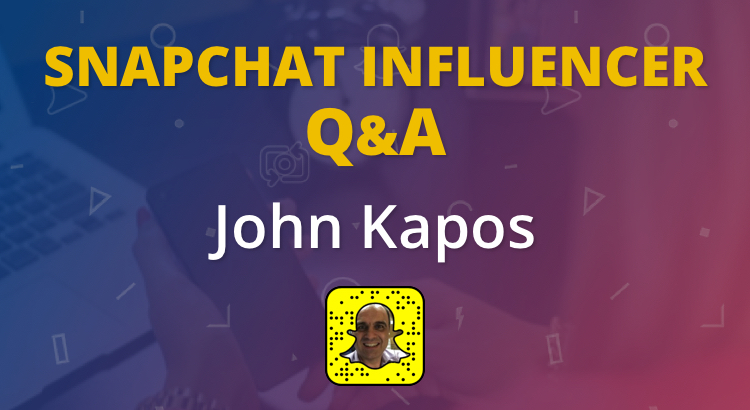 In the interview, John talks about the problems that businesses face when they start to use Snapchat for marketing. He also shares 5 tips that you can use to grow your Snapchat audience. When did you start using Snapchat and why? I started using Snapchat from the first month it was released on the app store. I love trying out new apps and something drew me to Snapchat. It was quick and easy, but hard to master. I started by sending heaps of snaps to the few people I knew on Snapchat. My kids were on it and that is another reason I started using it. Did you see the potential value straight away or did it take time? I knew that it was fun to use from the start, but it was very different to now. It was a good way to stay connected to my kids. However, I didn’t see the potential of Snapchat for my business until I was snapping my customers and they started to respond back. That was about a year after I started. Once that started to happen, I gave it a good go. 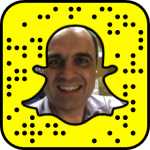 What are the main problems you find that businesses are having in relation to Snapchat? The main problem is that businesses still think Snapchat is for kids. Well, those kids will grow up and buy products off them one day. 63% of Snapchat users are aged between 18-34. It’s a market already waiting for these small businesses to utilize Snapchat. The second problem is that they can’t see a return on investment immediately. If they let go of their fear of Snapchat and social media they can use it and get their customers and staff involved more involved. Finally, businesses don’t promote their Snapcode enough. What advice would you give to a business who is just starting to grow their Snapchat audience? Promote your snap code on every other platform. Always tell a story, a beginning, middle and the end. Just push the snapchat button. create a story any story to start. Snapchat is a fun app and allows you to be creative. The app will take you out of your comfort zone. But it will make you feel so awesome! I have 2 accounts. The chocjohnny is where I snap everything. My life, family, stories, business, motivation and teaching. My business account is strictly chocolates and business. The spectacles let them get up close and more personal and they will be a big hit for marketers. It lets them up close and personal. I predict that Snapchat will acquire a phone and camera company. Also they will invest in a live video platform for Snapchat. Go have fun be creative and remember you can’t make mistakes. It’s all about being raw and real. Don’t forget the community who are watching you. Without your community, you have zero. Thank you, John for taking the time to share your knowledge and opinions on using Snapchat for non profits. To connect with John on Snapchat, scan the snapcode at the top of this article. If you enjoyed this interview, please check out more in the Snapchat Influencer series.